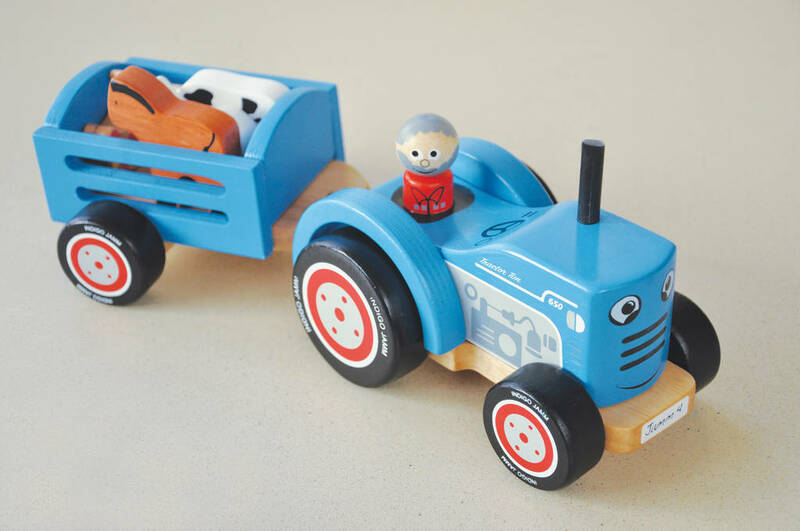 A wooden tractor and trailer including 5 wooden farm animals and peg man farmer Ted. 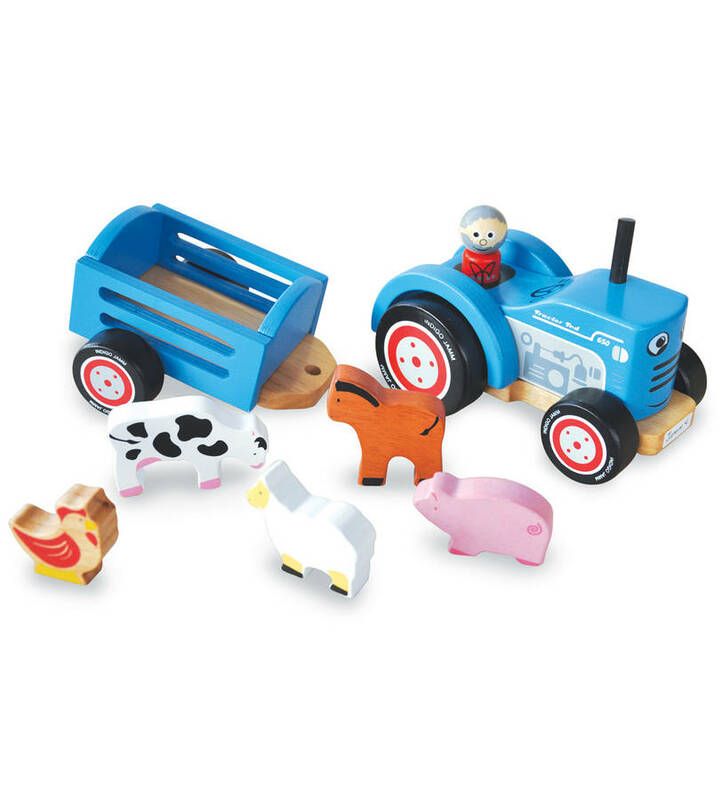 A classically styled blue farm tractor and detachable trailer with 5 wooden farm animals. Peg person, farmer Tim, is removeable and the animals canall ride in his trailer. Designed and tested for children aged 12 months plus. 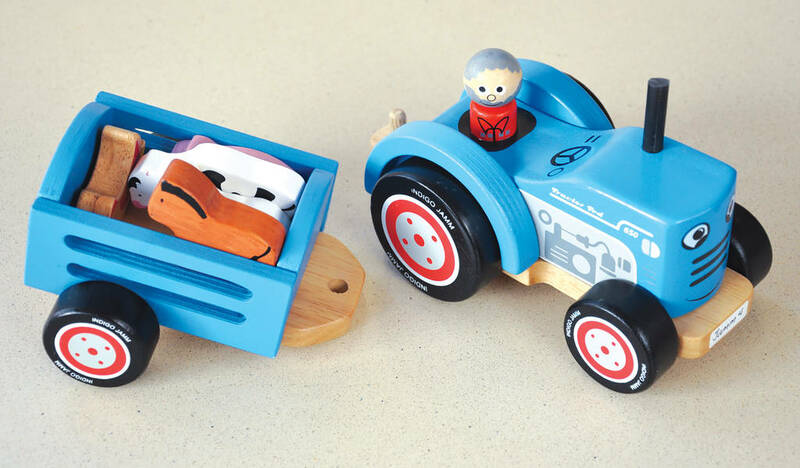 This product is dispatched to you by Jammtoys wooden toys.